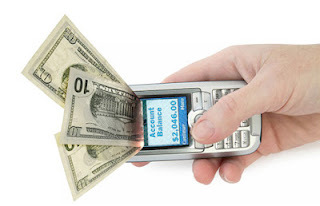 Ignovation: Would you like your phone to be your wallet? here is why and why not? Would you like your phone to be your wallet? here is why and why not? After years of fits and starts, the prospect of using your phone to make purchases instead of your credit and debit cards is entering a promising era. The struggle for who will control your virtual wallet is intensifying, and while it’s far from certain what will replace plastic, it’s almost certain something will, very soon. This isn’t about a gimmicky new way to separate you from your money. It’s about replacing credit and debit cards, and all of their vulnerabilities, with your phone. That phone will be linked to those same cards (and bank accounts), potentially enabling you to pay as you go without toting around cards or cash, and even without taking anything out of your pocket. But so far the road has been rocky for epayment in Nigeria. Some two days ago, i tried every ATM in my neighborhood just to withdraw some cash but all to no avail. "No-service", "Unable to dispense cash" and so forth was all i could get instead of my cool cash. And when i was completely "cashless", i headed for a super market hoping to use my Mastercard to make purchases since i didn't have cash but that also was very disappointing I also remember a time when i bought airtime for my phone via an ATM around Issac John in Lagos, Nigeria, but up till today, am yet to be credited with the airtime But as a firm believer in innovation and the good they do, i believe that whatever we decide to do and make the necessary investment in knowledge and execution we can get it done successfully, so i stood outside the supermarket and asked myself a question "is is possible or will we ever be able to get e-payment completely working in Nigeria especially in this age of smartphones?". I started researching about successful implementations of electronic payments in the world-the ones we in Nigeria could learn from to improve. below is result of my work, current, real and inspiring.Please lets get talking about these things, so please feel free to share your own epayment experiences on this blog. Thanks. Within this revolution, in America, there are two different technologies hoping to become the default. This time, instead of Betamax and VHS, we have NFC (Near Field Communication) and GPS (the same kind you use to navigate a map). NFC backers – and there are plenty of them – are pushing a technology that sends payment information using radio waves from one device to another. GPS’s contingent is led by Square, a startup founded by Twitter inventor Jack Dorsey, and uses the location-awareness functionality of smartphones to establish a connection between you and a vendor. This week, Starbucks announced it was partnering with Square, the best evidence yet that GPS might have an edge over NFC. For Starbucks, a $25 million investment in Square is pocket change, but the deal also puts visionary CEO Howard Schultz on the startup’s board and “Pay with Square” in every Starbucks, (eventually) letting caffeine addicts pay for their latte fixes with little more than a smile. GPS mobile payments are at the opposite end of the conceptual spectrum from NFC, and therein lies their power. NFC is specifically designed to work only over tiny distances – a few centimeters – the better to avoid mishaps that might occur if you were just walking past a terminal. But that means the consumer is invisible to the retailer until she’s paying for something. GPS, on the other hand, can alert consumers to nearby establishments’ special offers, and alert establishments when returning customers are on the premises. That creates untold opportunities to cultivate customers, not just take their money. Schultz told Wired‘s Steven Levy that Starbucks had been shopping around for a mobile payments solution and was blown away by Square, even though it won’t initially be taking advantage of Pay with Square’s location awareness and background payment functions. “It was very obvious to me that this was a game-changer,” Schultz said. But NFC isn’t dead yet. The basic idea is not new; a decade or so ago Exxon (for one) provided customers with a keychain dongle called “Speedpass” that ones waves at the pump to pay. The advent of smartphones gave the idea a real boost, since we always seem to have one with us. But how to take it mainstream? Without a lot of demand for NFC, handset makers have shied from incorporating it. Without the chip in wide circulation, retailers aren’t particularly interested in buying lots of new equipment to provide technology their customers have likely never even heard of. Chicken, meet egg. Google thinks it has the answer. It developed Wallet, an NFC-enabled payment system, and purchased Motorola Mobility, ensuring a big supply of NFC phones and the software to make payments intuitive. Google’s first NFC phone to launch since the merger is expected next month. Radio Shack, Home Depot and Bloomingdales already take Google Wallet. Another NFC player, Isis, has signed up such big chains as Macy’s, Aéropostale, Dillard’s and Foot Locker. PayPal, the original virtual payments company, is getting in the game with another NFC alternative. Apple waits on the sidelines. We’ll see soon enough whether Apple will finally incorporate an NFC chip in the iPhone 5. But we do know that Apple will be introducing its own virtual wallet, “Passbook,” which is neither NFC or GPS but serves up bar codes a retailer can scan (the technique the Starbucks app currently employs and the one used in the initial implementation of Square at Starbucks). Apple might be even less inclined to include NFC because of its own strategic plans – it already has hundreds of millions of credit cards stored via iTunes – and because of its increasingly sharp rivalry with NFC-backer Google. But even if the iPhone 5 introduces NFC, no older versions of the handset will have it, and there will be plenty of those models in use for some time to come. So, if you were betting on which technology was going to win, which would it be? NFC or GPS? I’d say the latter. Despite NFC’s head start and heavyweight supporters, the Square approach can undercut NFC on both hardware and recurring costs. The hardware is a computer or tablet a retailer already has, and Square only charges a 2.75 percent fee on each transaction, less than the typical charge other credit-card-processing companies impose on the seller. Consumers don’t have to buy anything: They just have to download an app and sign up for the service. For retailers, the allure of GPS lies not only in dead-simple adoption – no new equipment required – but in the marketing potential. Pay with Square’s directory lists establishments that use it – and the ones close to you. Stores can display specials offers, a menu, contact information and even offer pre-ordering, all within the app, which then “pays” when you’ve picked up your purchase. It’s a mashup of Yelp and Foursquare and Google Local, with the added ease of a borderline non-existent checkout process. Strong brands like Starbucks count for a lot, of course, but most things (just like coffee) are commodities: Service is the ultimate differentiator in a world where people choose among like items based primarily on price. Tech like Square allows a merchant to greet Ms. Jones by name the first time she shows up – your picture is part of the “Pay with Square” profile you set up. It makes it possible (eventually) to ask Ms. Jones if she’d like another of the same when she becomes a return customer weeks later. NFC doesn’t know you’re there until you pay. Retailers, not consumers, will determine who comes out on top in this revolution. And they like the path of least resistance. Point of sale is the most delicate part of the bricks-and-mortar shopping experience – I’m convinced that a big reason the Apple stores do so well is that the cash register comes to you, in the back pocket of the person who’s been helping you the moment you entered the store. Unless NFC quickly becomes as common as a phone camera, there may not be enough time to counter the buzz from a strong GPS public beta. Starbucks has some 7,000 U.S. locations, and its customers are already hip to paying with their phones: Starbucks has processed more than 42 million transactions since its app went national in January 2011, and the pace has been accelerating. The challenge for Square is not just to make GPS work on a huge scale and stay ahead of rival tech pushed by Google and other big players. With this high-profile partnership, Square needs to quickly implement the most dazzling of its features at Starbucks, so far pushed to some indeterminate future date. And it needs to continue to innovate so it can keep potential GPS – and NFC – rivals off balance.